Everyone knows that the transmission is a vital part of their car, but because it doesn’t require service as frequently as other parts of a vehicle, it can be easy to forget about it. Servicing your transmission is important for a number of reasons that we will discuss in today’s blog entry. After you have read this article, if you think (or know) that your truck, SUV, or car needs to have its transmission serviced or repaired, give us a call at Discount Inspection and Brakes/Master Transmission & Collision in Deer Park. 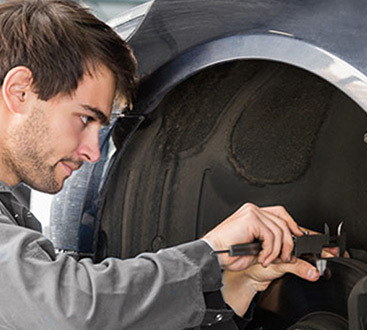 Our expert technicians can provide the repairs and service that your car needs. We also proudly offer a wide range of diagnostics, paint, window tinting, brake services, oil changes, and much more! Contact us for an appointment or request a service through our website! Maintenance is an important part of owning anything mechanical. Without proper care, components will eventually wear down, seize, or break. Your transmission is no different. While a transmissions (manual or automatic) is exposed to fewer forces and contaminants compared to other parts of your vehicle, there are still ways for contaminants to get into the system or for the system itself to lose effectiveness for a variety of reasons. While some modern transmissions claim that they never need to be serviced, most manufacturers recommend having your transmission checked every 30,000 to 60,000 miles. If you put miles on quickly thanks to a long commute or you drive for your job, it isn’t a bad idea to have the transmission checked every 15,000 miles. When properly maintained, a transmission may never need serious repairs or replacement. If your transmission feels off (maybe it is shifting harder than normal or it feels like it grinds as you switch gears) make sure to have it checked out at a qualified transmission repair shop as soon as possible. While it could mean that something is seriously wrong, a good tech will be able to quickly diagnose the problem and come up with a plan for correcting it. If caught early enough, most transmission problems can be overcome with some routine maintenance or a simple service. Even replacing the fluid in your transmission may be enough to slow down or prevent a more severe issue. Having a technician examine your car and perform a transmission fluid change or a transmission flush will always be more affordable than replacing your transmission. Even for common vehicles, you are usually looking at several thousand dollars for a replacement and labor costs. As the old saying goes, an ounce of prevention is worth a pound of cure, and when it comes to your transmission, the axiom is definitely true. Contact Discount Inspection and Brakes/Master Transmission & Collision in Deer Park today if you are coming up on a transmission repair interval or if you have noticed that your truck, SUV, or car is not shifting as well as it used to. 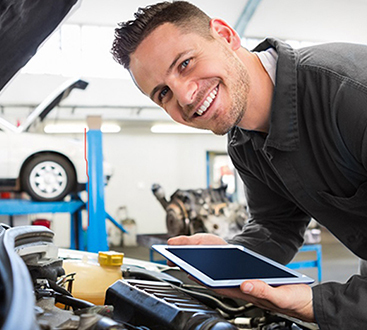 Our technicians are ASE certified, they can accurately diagnose the problems you are having with your vehicle, and provide you with a plan to repair it as effectively as possible. While we specialize in transmission service and repair, we also offer many other services to keep your vehicle running safely and looking great. Call us if you need a spray-in bed liner, new auto paint, window tinting, an alignment, auto body repair, engine repairs, and almost anything else. Our three locations are equipped with the best diagnostic tools and our friendly staff are always happy to serve you.